EB GROUP is a property investment company and co-investor with vertical integration of all aspects of the real estate sector. Since 2000, the company has provided property investment support to German and international investors. In cooperation with its affiliate Deutsche Investment, EB GROUP offers property investors a high added value and covers all areas of the real estate sector. Our multidisciplinary team of about 170 employees has proven expertise in managing residential and commercial properties. be qualified. be passionate. be fair. 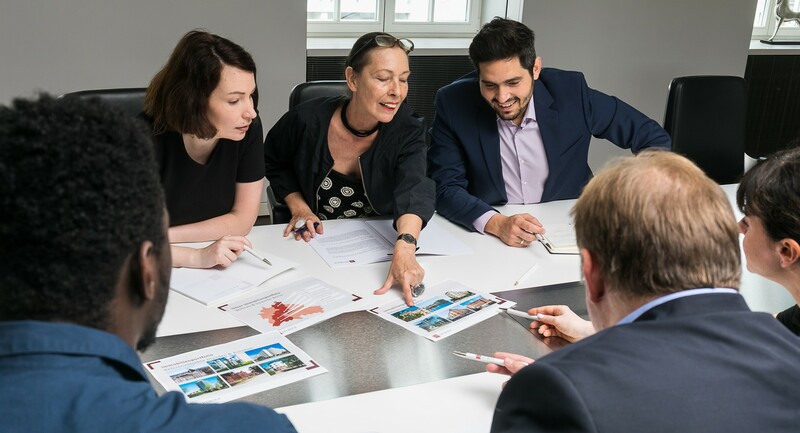 Qualified, passionate, and fair: the fundamentals for the 360° property expertise of EB GROUP, where every team member is personally committed to ensuring the long-term success and quality of our services. We embody a corporate culture characterized by mutual respect, appreciation, and support. Stay in touch with EB GROUP: To sign up for our newsletter, please leave your e-mail address here.